"La Búsqueda" is published in 2CD + DVD format. Format: Digipack A5. 28-page booklet with texts, images and memorabilia. 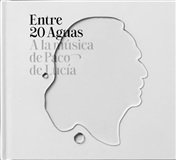 2CD: Selection of 29 Paco de Lucia themes included in the documentary. The sequence of songs is in chronological order to show the evolution as a guitarist Paco de Lucía. All themes remastered in October 2014 from the original masters. Documentary "The Search" (La Búsqueda). Version without subtitles and with English subtitles. Audio Options: Stereo and 5.1. Zone 0 (Multi). 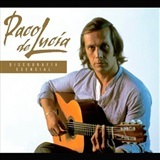 In February 2014, Paco de Lucia died unexpectedly, guitar genius and referent of the Flamenco music worldwide. 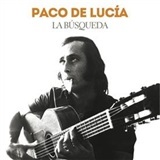 Two weeks later his son Curro, were detained in editing studio trying to end what had been his dream project for the past four years: Count on a documentary life of his father, Paco de Lucia, a project that almost boundless unfortunately remained unfinished. "The Search" is the documentary, 90 minutes from a perspective that between documentary and family, Curro engages the world of personal portrait of guitar legend, the figure of his father. "The Search" was featured in the last edition of the Film Festival San Sebastian and was released in cinemas across Spain in October 2014. "La Búsqueda" is published in 3CD + DVD format.